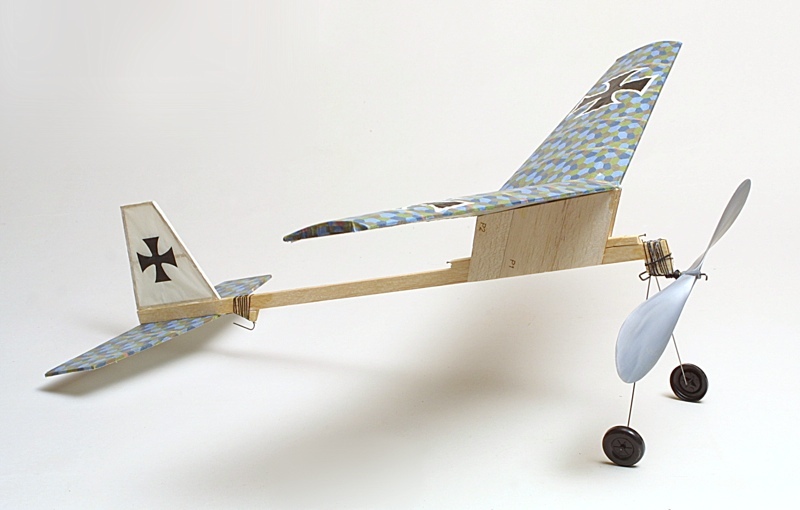 The Sky Bunny is a Bill Warner design, intended as a second or third step for budding modelers. 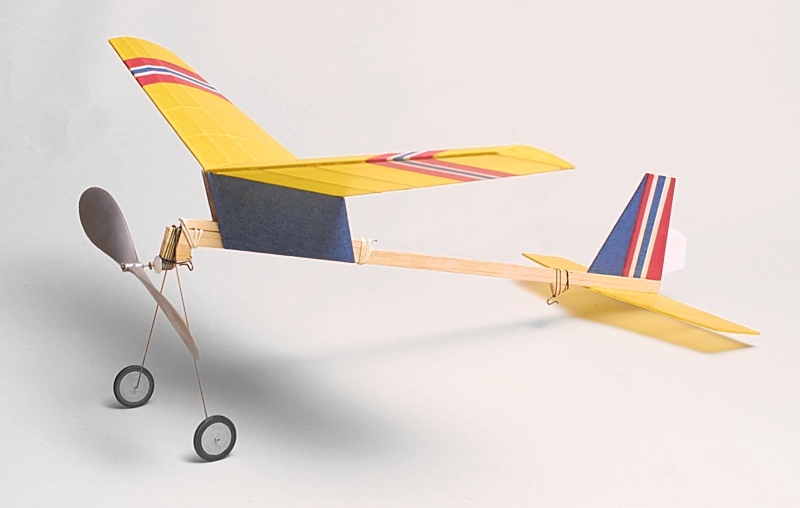 It has long been available as a kit from Peck-Polymers and remains popular with beginners and more experienced modelers alike. 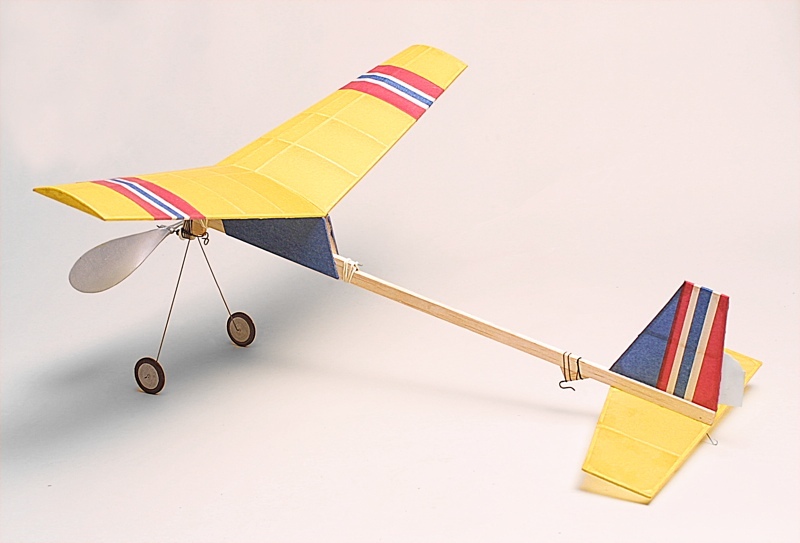 Its basic construction and proven flight characteristics make this model a quick build and relaxing sport flyer for all. Inspired by the Second International Sky Bunny Postal Contest held over Labor Day Weekend, Gryffin and I decided to build a couple of models to enter. Like the Prairie Birds we built over the summer, he worked with a laser cut kit from Peck-Polymers while I built mine from plans. My Sky Bunny is finished in Esaki tissue pieced together using a glue stick to represent a Norwegian scheme. Gryffin was so taken by the printed tissue shown in Dave Gee's video (see below) that we worked up some of our own for his model. Printed on white Esaki, the lozenge tissue looks great on Gryffin's Sky Bunny. 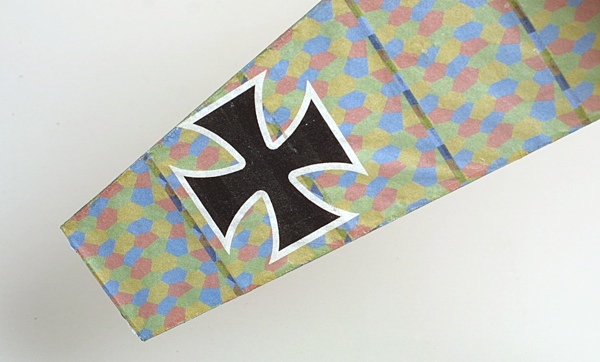 His upper surface has a 4-color lozenge pattern with rib tapes from the lower surface color scheme. 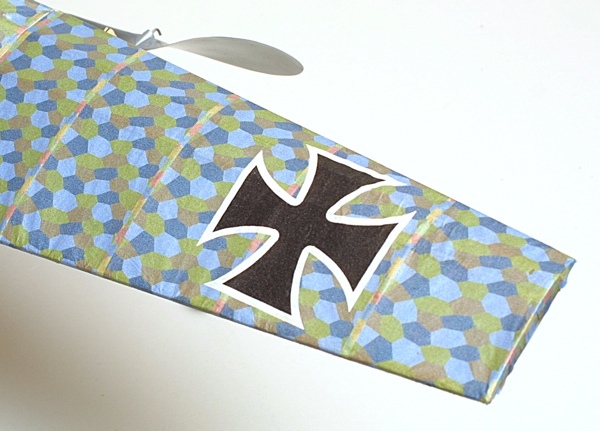 Gryffin's lower wing surfaces have a lighter lozenge pattern with rib tapes from the Upper surface color scheme. Gryffin Launches his Sky Bunny on another flight. 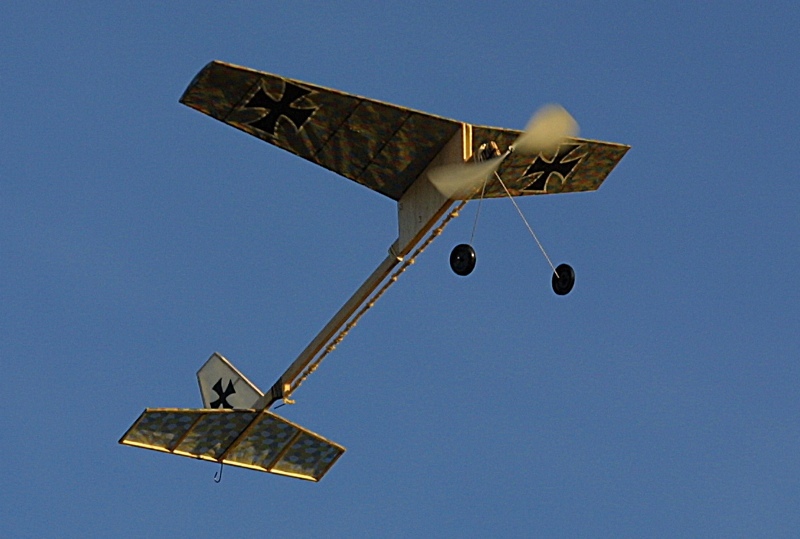 Climbing out at sunset, Gryffin's Sky Bunny shows a lot of promise for a larger motor. 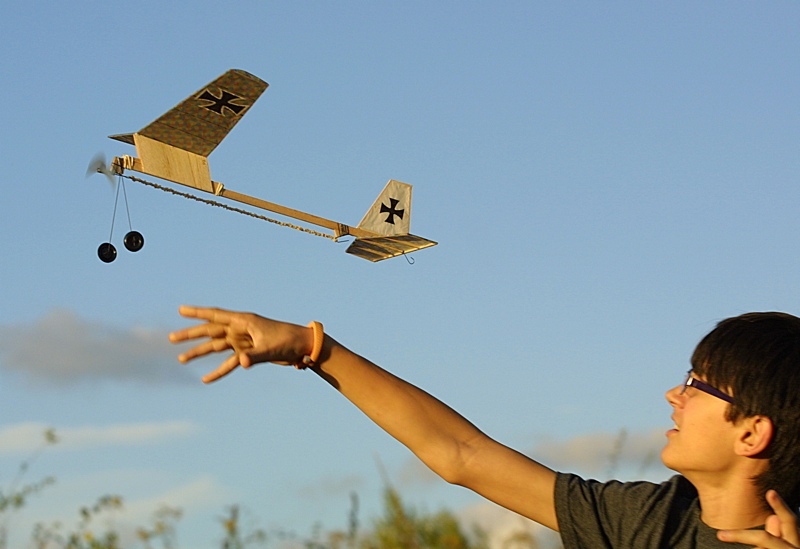 If you would like to try your hand at building and flying a Sky Bunny, you can pick up a kit, along with a few needed accessories, directly from Peck-Polymers. Information and results concerning the Second Annual Sky Bunny Postal Competition are available here. 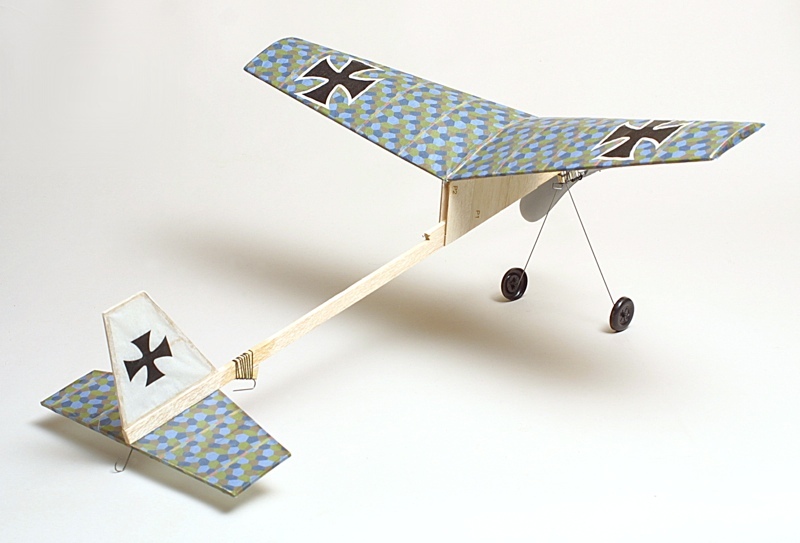 The Sky Bunny is a great flyer and perfect introduction for building and covering basic models. Dave Gee's Sky Bunny Build video. Prop: Peck Polymers 7.75-inch dia.